The Ausf.K was basically to be a Panzer III Ausf.J chassis combined with a Panzer IV Ausf.F2 turret that mounted a KwK.40 75mm gun. 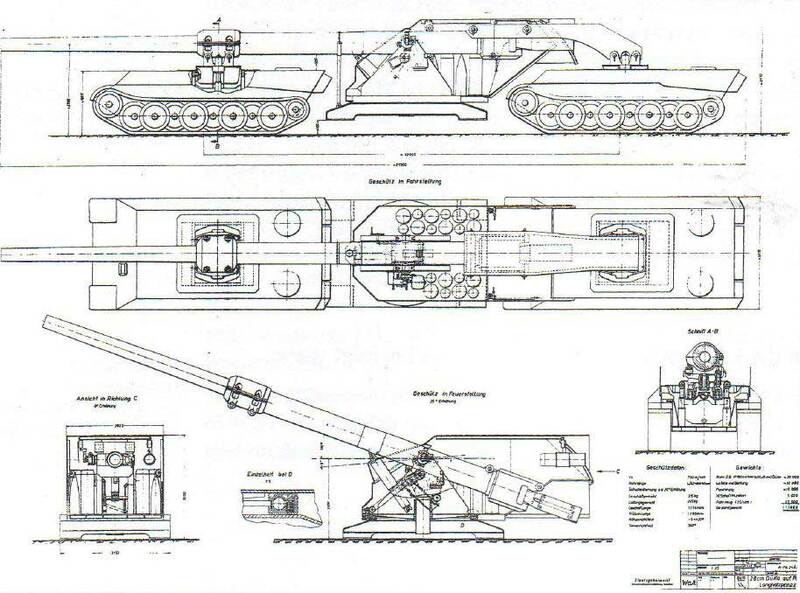 After receiving orders to prepare such a tank design, Krupp had completed sets of drawings by 27 December 1941. However, such a vehicle faced serious problems in terms of the Panzer III being able to cope with the extra weight, new suspension, new tracks and a changed center of gravity. By March 1942, Krupp had been instructed to drop the project and to keep arming the Panzer III with a 50mm gun instead. Dragon’s 1/35 scale kit of the Pz.Kpfw.III Ausf.K is a smart combination of subassemblies from previous top-quality kits. Thus, it mates a turret from a Panzer IV Ausf.F2 to a Panzer III chassis and hull. Also included in the kit is the upper hull plate from Dragon’s latest Pz.Bef.Wg.III Ausf.K command tank, which would have allowed a larger turret to be fitted on this tank. Although this ultimately remained a “paper panzer”, the Pz.Kpfw.III K is a unique-looking and well-armed tank. Must have been the Gneisenau as Scharnhorst was sunk intact in 1943. A couple of Gneisenau's triple turrets ended up as fortifications in Norway. ModelCollect is releasing a kit of that in 1/72. I built the Pz Bef III K and liked the look. I might put this one on the list since I like look. Do a what-if scheme. I'm somewhat confused by this one: while the Pz II K with the 75mm gun might not have been produced the Befehls version with the 50mm L60 was very much a production vehicle albeit in limited numbers. Fifty were produced and saw service until sometime in 1944 when they were largely replaced by Pz IVs in this role. Indeed, Dragon had (of course!) released an earlier version of this kit under #9018 that had in its initial release so many extras on its assorted sprues that you could build almost any Pz III variant from it. I bought a couple. Ridiculous. Another one-off. And all the while we're waiting for a North African F or G, a later Beobachtung with turret skirts or even the late L "001" Brigitte (with the quirky sprockets) Befehls used by 12th Pz Div in Operation Casar. Instead they give us this. Just ridiculous. Funny thing is, all the parts exist, just not necessarily in the same box. Boggles the mind. A new decal sheet and shift some parts around and *boom* But instead another one off? There some kind of obsession with prototype/paper panzers somewhere? Wait, is this in WOT? Funny thing is, all the parts exist, just not necessarily in the same box. Boggles the mind. A new decal sheet and shift some parts around and *boom* But instead another one off? There some kind of obsession with prototype/paper panzers somewhere? Wait, is this in WOT? [/quote] As far as kit bashing goes, you can make pretty much any variant. Funny thing is, all the parts exist, just not necessarily in the same box. Boggles the mind. A new decal sheet and shift some parts around and *boom* But instead another one off? There some kind of obsession with prototype/paper panzers somewhere? Wait, is this in WOT? [/quote] Yeah, it was added to WoT 1-2 years ago IIRC. Long after I quit the game, but I've always thought it was nice looking, and personally I've wanted a kit of it for quite a while. Granted, it's Dragon (overpriced... Over 100$ CAD from my LHS, minimum 75$ CAD on eBay most likely), so It'll take me a while to bother getting the kit, if at all. THIS STORY HAS BEEN READ 6,835 TIMES.